NaturVet's Pet Electrolyte Concentrate is recommended to maintain hydration in times of mild fluid loss due to vomiting and/or diarrhea, post-op recovery or lack of appetite or whenever solid food cannot be tolerated. 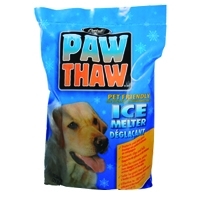 Also recommended to help rehydration due to high activity levels such as with agility trials, hunting dogs and show dogs especially while performing in the summer heat. 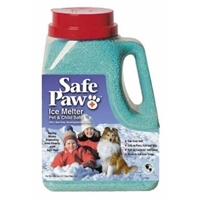 NaturVet's Pet Electrolyte Concentrate is made in the USA. 100% Money Back Guarantee! 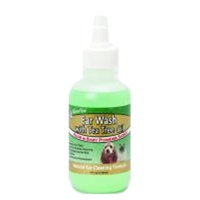 A formula consisting of all natural active ingredients for cleaning the ear canal of dogs and cats. A gentle, yet effective product designed to help dissolve ear wax and remove foreign debris. 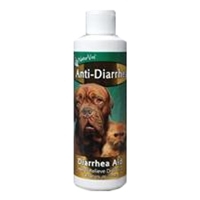 Can be used as often as needed, and is especially recommended after bathing or swimming. Contains Tea Tree Oil with aloe and baby powder scent. Helps to maintain moisture in dry, irritated skin. 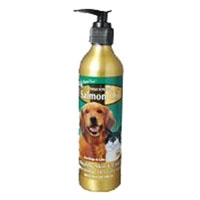 Omega 3, 6, and 9 fatty acids for a glossy coat and healthy skin. Made from pure Salmon, nature’s best source of natural Omega-3 and 6 fatty acids. More potency without the smell. Our specialized filtration process helps remove the fishy smell, but not the yummy taste that pets love. 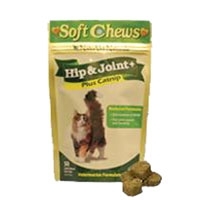 Veterinarian formulated and recommended to support healthy hip and joint function. Our advanced formulation helps to support synovial fluid that lubricates joints and helps maintain healthy cartilage and connective tissue. 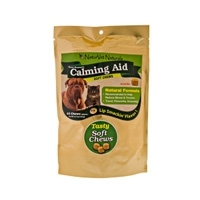 Introducing a natural solution to calming your pet. Our unique blend of Thiamine and L-Tryptophan will help reduce stress and tension. 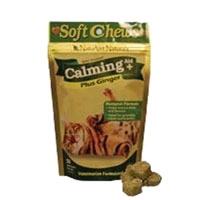 Ginger supports sensitive stomachs which is especially important when traveling, while Melatonin helps to promote rest and relaxation. 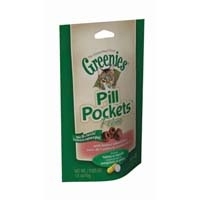 Feline Greenies Dental Treats - Oven Roasted Chicken 2.5 oz. Treat and bond with your cat while providing essential health benefits. 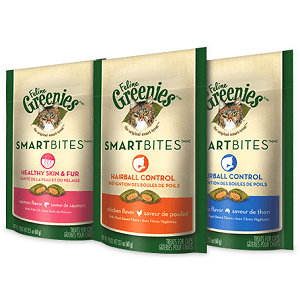 FELINE GREENIES™ SMARTBITES™ Hairball Control Cat Treats are not indulgent, empty calories. This delicious, dual-textured treat contains natural ingredients and our FIBERBLEND™ Formula to help minimize hairball formation and promote healthy digestion.